The New York Times profiles ‘leader of Israel’s settler movement’ Danny Dayan. 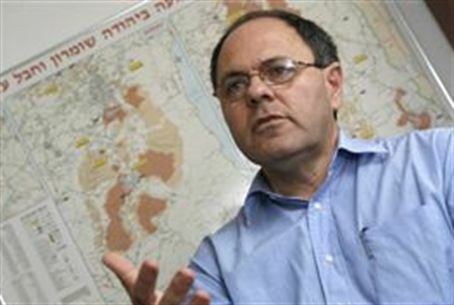 The article focuses in part on Dayan’s pragmatic approach to the issue of Israeli settlement in Judea and Samaria, with even opponents such as Peace Now’s Yariv Oppenheimer noting that Dayan can “speak to the public with a much more sensible argument and a much more moderate image” than more strictly ideological counterparts. New York Times writer Jodi Rudoren noted that Dayan’s approach has created some hostility among ideologically motivated youth, with some terming him a “danger to settlements” or even a traitor. The profile follows other PR successes for Dayan: three weeks ago the New York Times published an Op-Ed he wrote declaring the “two-state solution” no longer relevant, and two weeks ago The Atlantic published a lengthy article covering Dayan’s battles within the realm of Judea and Samaria politics which allowed Dayan to express many of his views.